For years, we have translated various types of documents from English to Malay and Malay to English at the most competitive translation rates available in Sydney. Send us a copy of your document using the online translation form and receive a quote in less than 15 minutes. What does NAATI mean? NAATI is Australia’s accreditation body and national standards in the translation industry. All our Malay translators are NAATI certified. 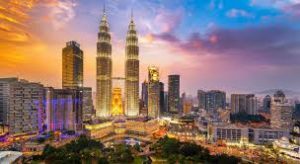 It works as a guarantee to all customers that our translators have undergone rigorous testing requirements for the core resources, processes and other aspects that are necessary to deliver high-quality Malay translation services. Our translations can be used for submission to the different public and private authorities in Australia that requires NAATI translations. If you need to certify and translate legal documents such as diplomas and marriage certificates, from Malay to English for immigration purposes, visa applications, job applications, university admissions and more, we can provide NAATI certified translations. Our Malay translation services are available 24/7 for all of your urgent requests. Sydney Translations is open 24 hours a day, seven days a week and 365 days a year. Just fill in your details in our online form to start your document translation. For enquiries, you can also contact us via the Live Chat; we would be happy to help you. Whatever Malay translation services you need, we can handle your projects, regardless of urgency. With our Instant and Express Malay translation services, you can receive your translation in no more than 24 hours. Sydney Translations is the most affordable Malay translation services provider in Sydney with document translations starting at $69. Pricings vary on the document’s complexity, length and turnaround time. Complete the translation form on this page and receive an exact quote within 15 minutes. Isn’t it great? No need to wait for too long. Request for an exact quote by simply completing the translation form here on this page. Complete your payment using Paypal transfer, credit card transactions or bank transfers. Once we finish your translation, we’ll send you a draft copy for your review and approval. If you’re satisfied with your translation, we’ll send you the final translated document via email. If you need a hard copy, we’ll send you one by post. Malay or Bahasa Melayu is a major language in the Austronesian family. Indonesia, Brunei, Malaysia and some parts of Singapore use Malay as their official language. More than 40 million people are native speakers of the language. 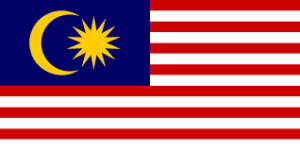 The language became popular because it was used by the Sultanate of Malacca as a trade language in the 15th century. In this time, the language was influenced by Hindi, Arabic, Persian and Sanskrit languages. Rumi is a Latin alphabet that is used to write the Malay language. However, there is also the Jawi which is another Malay script that is used in written Malay. You can create words by simply attaching affixes such as suffixes, circumfixes, prefixes and infixes.